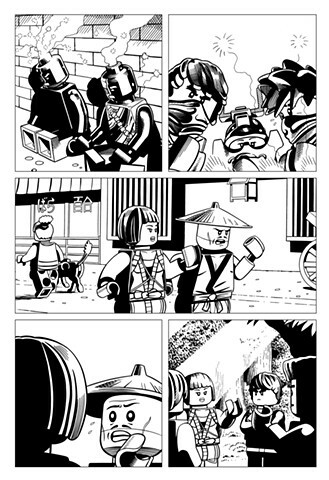 Ninjago book 10 page 5. My favourite script so far (by Greg Farshtey). The ninja gang encounter Nindroids and a vigilante known as The Phantom Ninja.